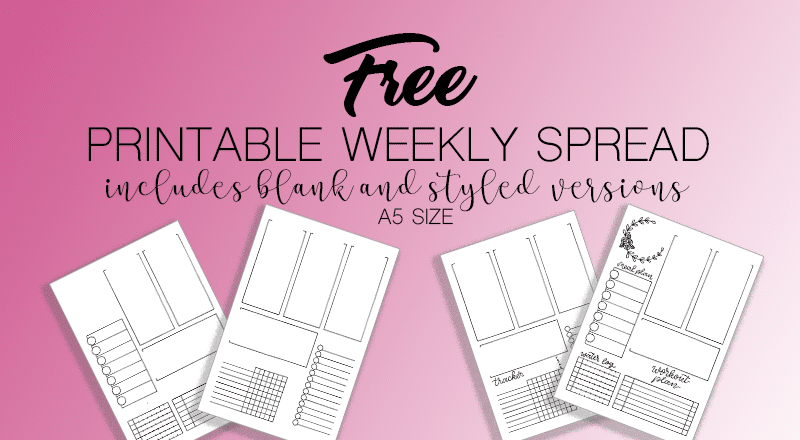 Looking for the perfect free bullet journal weekly spread printable? I am here with your solution. 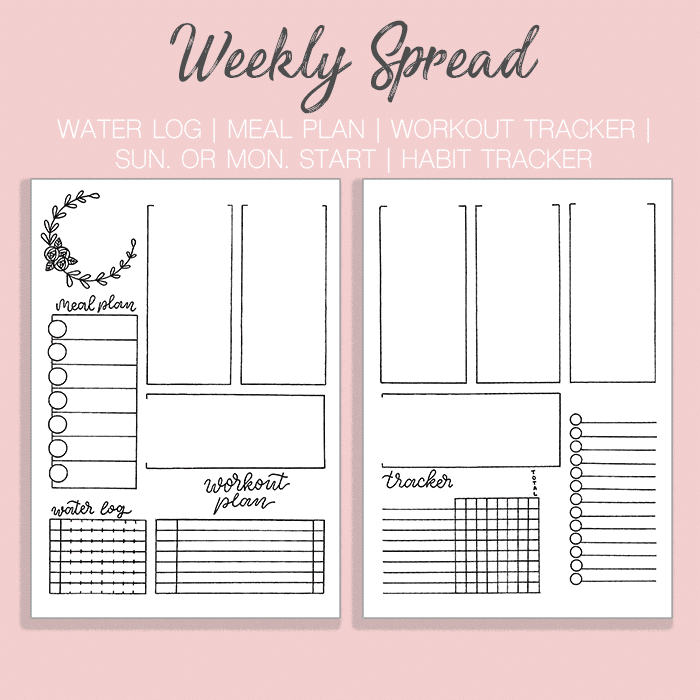 This weekly spread has a water tracker, workout tracker, meal planner, habit tracker, and section to be used for notes, goals, or a shopping list. Also, you can format it for a Sunday or Monday start. I recently asked the Petite Planners Facebook Group what they wanted to see as far as printables were related. One of the most common answers was printable weekly spreads. So, last night I stayed up late and put together a weekly spread that I’m really proud of. This is an A5 printable weekly spread. And it has all of the trackers you need to stay healthy, motivated, and productive. It includes a meal planner, water log, workout planner, mini habit tracker, and a space for goals/notes/shopping list. On top of that, I left the days open so that you can start on Sunday or Monday, whatever your preference is. And, because I truly feel that this weekly spread is great and can work for anyone, I created a completely blank version of the spread. This way, you can use the additional spaces provided to track and plan for what is most important in your life. This download comes as a zip file with 2 PDF files. You will get the filled in version with headers and completely blank version. To unzip this file, on most newer operating systems (Windows 10 and Mac Mountain Lion) you just need to find the zip file and double-click. This will reveal the contents of the zipped file. Then you can select either the weekly spread with headers or the blank spread to print. will work as well. But the sticker paper will produce a better quality print. to adhere your printable to your journal. I like this option 10x more than glue sticks because it’s mess free and there’s no dry time.
. You can get one for a very reasonable price on Amazon or at your local office supply store. 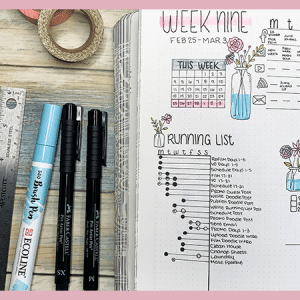 With this printable weekly spread, I have included faint gray cut lines for you to follow. The dimensions of this printable are 5.8×8.23, for a perfect fit in your bullet journal. 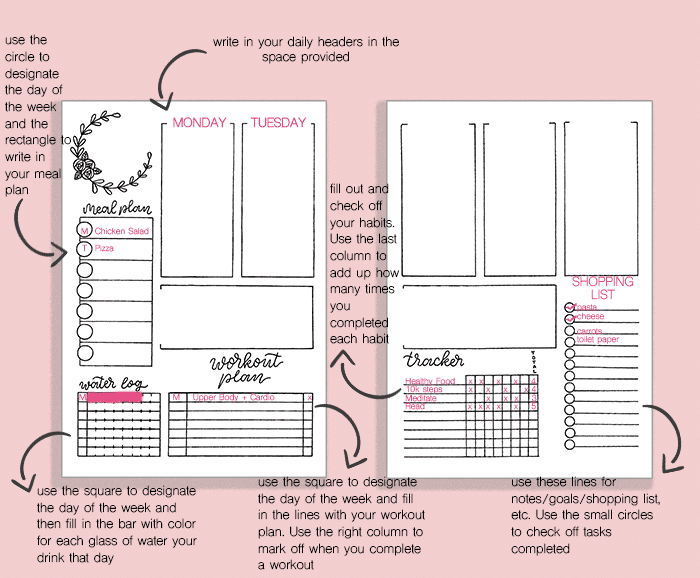 Because this printable weekly layout has some openness to it, I wanted to share how to fill it out the most efficiently. I created the graphic below to help you fill out your weekly spread and get an idea of how it will look. Remember though, that this is YOUR page in YOUR journal. You can use it however you want. And there may be a more efficient way for it to be used that I’m not seeing. This is not the only option. The blank version of this printable weekly spread is completely open to interpretation. You may use the additional spaces as you see fit. Some ideas you can use to fill in these spaces include: habit tracker, migraine/pain/anxiety tracker, one line a day, positive affirmations, daily memories, daily goals, bill schedule, daily spending, etc. You can make it fit your individual needs with a little brainstorming and creativity. 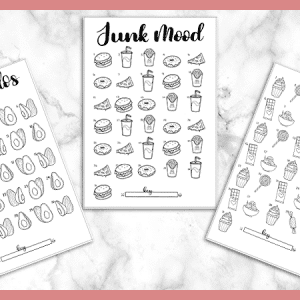 If you love printables and want to check out the best selection from bloggers all around the web, head to this post with 30 of the Best Free Bullet Journal Printables. 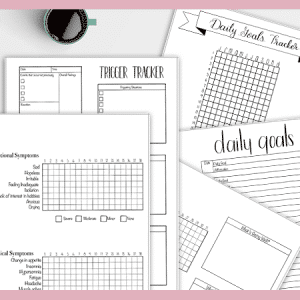 Get Your Printable Weekly Spread Now! As soon as you confirm your subscription, your file will automatically download. If you are already a subscriber, pop over the VIP Resource Library, enter the password you were given in the welcome email, and download the file from there. Be sure to share this post with your friends and in groups to spread the freebie love! I’d love to see how you fill out your weekly spread. Feel free to tag me in your pictures on Instagram, @the.petite.planner. And head over to Pinterest and follow me for more bullet journal ideas, printables, and inspiration. Best weekly lay out I have seen.